What's Your Etobicoke Home Worth? In today's Etobicoke market, my neighbourhood Princess Gardens, Mimico, Sunnylea, The Kingsway, Princess Anne Manor, Centennial Park, Markland Woods, Long Branch, New Toronto, Richmond Gardens, Royal York Gardens, Edenbridge, Humber Heights, Rexdale, Thorncrest Village, Eatonville, Alderwood it's more important than ever to price your home right. We know how to price your property to make sure it sells. If you're curious about your home's value in Princess Gardens, Mimico, Sunnylea, The Kingsway, Princess Anne Manor, Centennial Park, Markland Woods, Long Branch, New Toronto, Richmond Gardens, Royal York Gardens, Edenbridge, Humber Heights, Rexdale, Thorncrest Village, Eatonville, Alderwood in today's market, just fill out the form below and we'll send you a free Comparative Market Analysis to find out what is your Etobicoke home worth? Usually in our trading area, it is about four to six percent of the final sale price. However, just like anything else in real estate, the commission amount is negotiable and it can be lower than 5%. When completing the listing agreement, we can discuss and come to an agreement on the amount of the real estate commission depending upon the services that you require. One thing to consider is paying a high fee is no guarantee of real "full service" and paying a low fee is no guarantee of a bargain. Someone here will say, "you get what you pay for" but unfortunately that's not always the case. My suggestion is always to search for the best possible agent you can find. One who has had recent and consistent success selling similar homes, someone who listens, advises, explains and discusses the reasoning for the way they work. Emotions play a major role in the selling of a home. Negotiations are not just with respect to the price. Many other factors can create emotional reactions that could cause a disagreement. Many times when a deal is close and the seller and buyer are at an impasse a third party (either the buyer or sellers representative) may offer an incentive or remuneration to satisfy all parties and essentially close the deal. With the advent of the web, some agents are offering "cut-rate" commissions. Sometimes, lower commission rates mean a lower level of service. If all you want is to be listed on the Multiple Listing Service with a sign in the front yard and no other marketing or promotional services, then a cut-rate commission company may be right for you. There are a few discount Brokers that offer different levels of service for a lower fee or there are companies that charge a 'typically normal' commission and perform the functions of a Full Service Discount Real Estate Broker. If you want an agent who will actively promote your property to other agents, spend time and money on marketing and extensively promoting your property, has made a long term commitment on the internet and marketing your property locally, then you probably are not going to get that level of service with a reduced commission. Another common practice when you see an advertisement for a reduced commission is that the compensation is lowered only when you agree to buy your next home through the same agent or broker (maybe you want or have already purchased a new home) or you must buy one of their own listings (less choice for you) or the listing broker must list and also sell your home to a buyer themselves (not too frequent) or you must take out a new mortgage with the lender that the agent refers you to (this usually means: higher interest rate to compensate for cash back) or else no discounts apply. Be careful and read all the fine print. When you see an advertisement or an offer for a lower commission, you should carefully analyze what you are giving up by accepting such an offer. All the details will probably not be readily apparent in the advertisement and you will have to investigate further and dig deeper to get the truth. Remember this truth in life "you can't get something for nothing" and lower commission rates can indicate a lower level of service, some services may not be offered for the largest sale of anything you will ever own in your lifetime. So you must ask yourself the question, is it really worth it? Be sure to ask plenty of questions before you sign anything. You may seek clarification or confirmation of any representations other agents make to you by contacting me at any time, email me now if you have a question about commissions. If you have a complaint about an advertisement, flyer or billboard you have recently seen that you feel is false and misleading, then you can easily do something about it. RECO (Real Estate Council of Ontario) handles complaints and any complaints from the public are taken extremely seriously and are acted upon to a final result. You may go to the RECO website to see how easy it is to register a complaint. 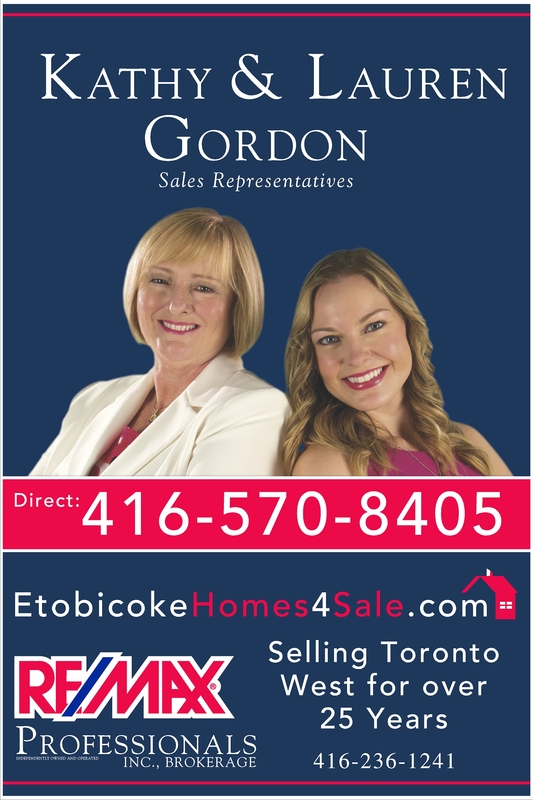 In this real estate web site you will find information on 2.5% commission rates in Etobicoke and the GTA, Ontario - Kathy Gordon Real Estate listings and homes for sale, virtual tour, homes for sale, secrets to ask agent REALTORS®, Etobicoke and the GTA, Toronto, buying, selling and more in Etobicoke and the GTA.